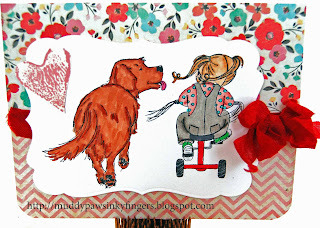 I'm a guest designer today on 3 Girl JAM!! Supplies used for this project were: Echo Park Winter Wishes 6x6 paper, Close To My Heart Chipboard album shapes, CTMH Cricut Artiste cartridge (used to cut the paper in the same shape as the chipboard album pieces), Cricut Classic Font -- letters cut at 3 inches, and cut with the shadow feature also), Tim Holtz Distress stains in Faded Jeans & Dusty Concord to ink the edges of the chipboard shapes, white American Crafts cardstock (letters), CTMH smoky plum cardstock (letters), CTMH jump rings, CTMH jewels bling, Spellbinders scalloped oval die, Pioneer glue stick, Zig 2-way glue, Crop-a-dile II to punch additional holes in the chipboard, watercolor paper -Strathmore coldpress 90 lb (from my friend, Rebecca! ), Sparkling Waters paints, Jillibean Soup baker's twine, and a Unity Stamp Company Itty Bitty called, "You Melt My Heart" (IB-MLS-214). And, of course, the 3 Girl JAM ribbons. And, there you have it, my winter banner, all decked out in beautiful antique white and merlot 3 Girl JAM ribbons. Thanks again to Rebecca and Julie for the wonderful opportunity to create with their fantastic ribbon. I had snow much fun! First, I want to say how much fun I had with the Growing In Unity week. All your sweet comments meant so much to me. Thanks to everyone who visited my blog and left me some love. Before I tell you the winner of the two Itty Bitties, I thought I'd post one last card. I made this one this afternoon for a challenge on the cropchocolate.com site. The challenge this week is to use the colors blue, green, and white. And, of course, I had to use Unity stamps! It's been snowing here all day, so these tulips make me think of Spring. It's coming, right? My fellow co-workers and I are sending a care package to the co-worker that had a knee replaced. I made this card to send with the goodies. It used Echo Park For the Record 2 Documented 12x12 papers, Carta Bella white card stock, Unity Stamp Co Tulips and Daisies stamp set, Memento black ink, Strathmore 90# cold press watercolor paper, watercolor paints that I picked up at Michael's -- a starter set for students -- super cheap, and some white ribbon from my stash. I'm going to enter this in Creative Inspiration Paints 'Anything Goes' challenge. And now, for the reason you are visiting my blog -- to find out whether or not you get to go shopping at Unity! I used Random.org twice. The first time, I had it pick the day (from 1-5). It picked 2. Then, I entered in the number of comments on my blog from day 2. There were 46 comments, and random.org chose #45. That is Brit K. Congrats, Brit! You are lucky on my blog, girl! I sent you some blog candy not too long ago! Contact me with the 2 Itty Bitties that you would like. 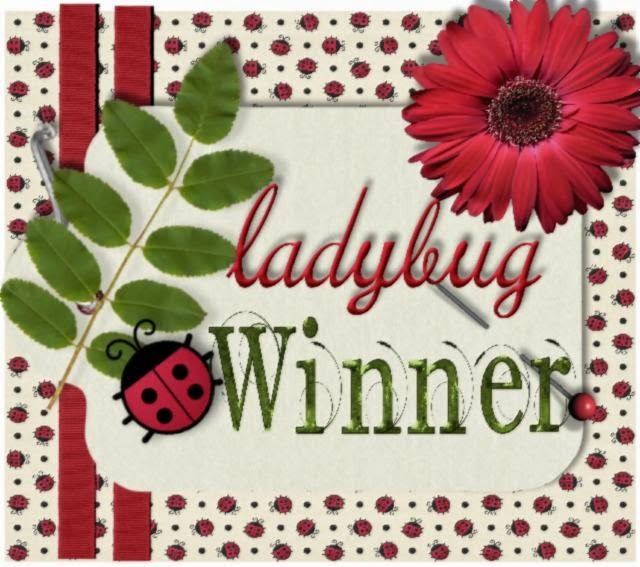 I am a guest designer on Wednesday, Jan. 30, on the 3 Girl Jam blog. Please stop back here on Wednesday, and/or the 3 Girl Jam blog to see the project I made. 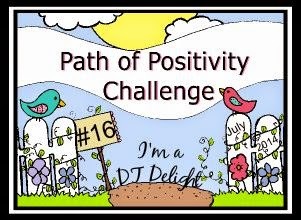 Day 5 of my Growing in Unity week already! I'm sorry to see it end. Thanks to all of you who visited my blog each day this week. If it's your first day here, go back and check out my cards for the week, leave a comment, and you might win Unity rubber! One commenter will be randomly chosen to pick two Itty Bitty stamps of their choice from Unity. I'll choose the winner over the weekend. Good luck! It's winter in Wisconsin. The windchill is projected to be -25 degrees when I get up tomorrow morning. It's cold, but we have very little snow. If it's going to be cold, I think we might as well have snow. So, I made a couple cards to celebrate that theme. This one uses a Unity stamp of the week, Bernie the Owl. You gotta love that guy. The first time I saw him, I knew he needed a speech bubble and some kind of saying. This seemed appropriate given his snowy perch. The speech bubble is from Lawn Fawn. The sentiment is Unity's "One of a Kind Winter". 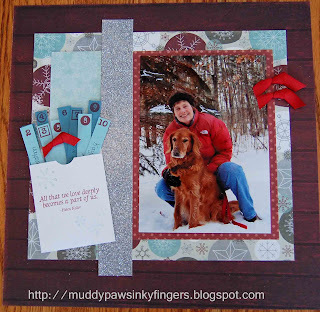 Papers are Fancy Pants Blissful Blizzard 12x12 collection. I used some Tim Holtz tarnished brass stain on the corregated paper, but it's a little hard to see in the picture. The twine is from My Minds Eye. I colored Bernie with Copic markers. I used some Liquid Pearls on the snow and Icicle Stickles on the pom poms on his hat. 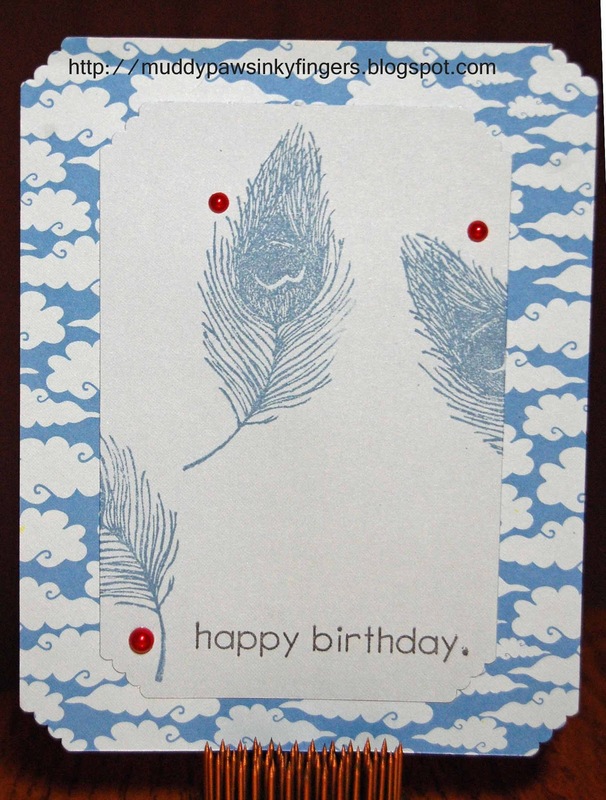 The card base is Echo Park's Wintertime cardstock. 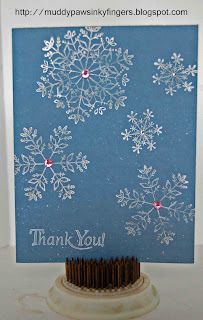 I used Close To My Heart white ink and the Unity stamp set, "Snowflake Kisses" for the background. The bling is from my stash. 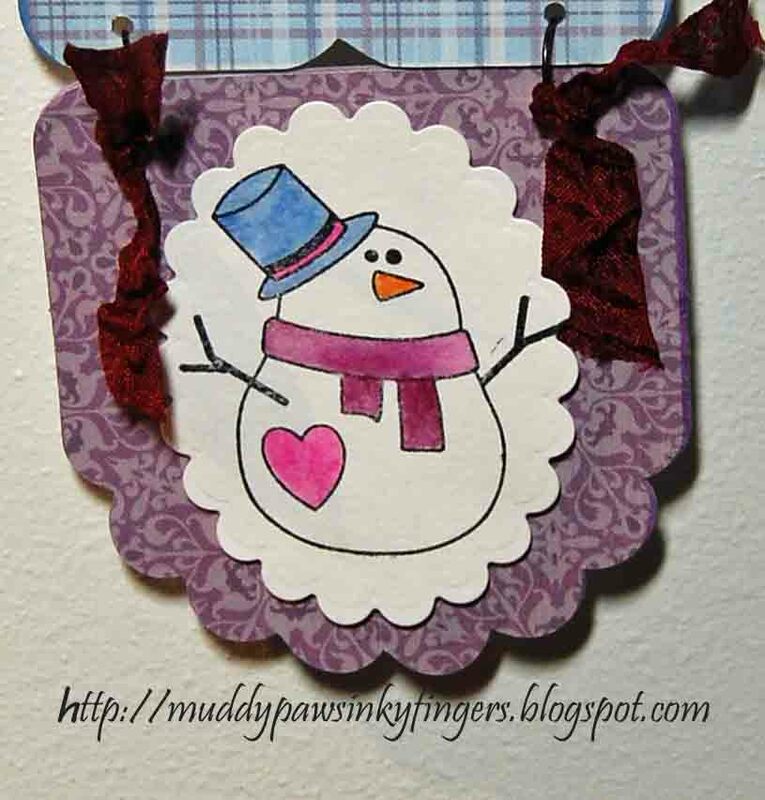 The snowman stamp is Unity's "One of a Kind Winter" (Susan K. Weckesser). The speech bubble is once again Lawn Fawn. I used some new watercolor paints my husband gave me for Christmas to color the snowman called Twinkling Waters. I thought to myself, "way to go out on a limb there, Julie, coloring a snowman." Oh well, you gotta start somewhere! I used some new watercolor paper from Ellen Hutson for the snowman (also from my DH for Christmas). 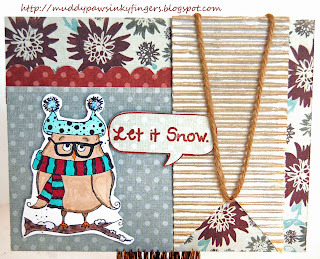 I'm entering these cards in Ribbon Carousel's Winter Spirit challenge, and Oozak's challenge #10, Anything Goes plus Pink and Bling, and Creative Inspirations Paints' Favorite Stamp Challenge. Thanks for a great week! Have a super weekend. I'll pick the winner of the 2 Unity Itty Bitty stamps very soon! This layout is on "The Crop" today -- cropchocolate.com's blog. I thought I'd use it for day 4 of my Growing In Unity week, too. If this is your first time to my blog this week, check out the previous 3 posts, too. Leave a comment for a chance to win two Unity Itty Bitties, decided this weekend. So, here it is, my ice project. Ice is the theme the CropChocolate.com design team is using for January. One of my favorite places to visit in all of Wisconsin is the Lake Superior ice caves. We kayak to them in the summer, but in the winter, if conditions are right and Lake Superior freezes, you can walk to them. Every time we see them, they are different. The ice freezes differently, and depending on the light that day and the time of day we visit, they are always changing. Lake Superior hasn't actually frozen over for the last several years, so I used pictures from 2009. This is me inside one of the ice caves. I used one 12x12 piece of cardstock on this layout (Carta Bella Kraft), and everything else was 6x6 papers. It's nice when those "cardmaking" papers work for layouts, too! I loved the smalled prints on the circles! The DP is Echo Park Winter Wishes 6x6. 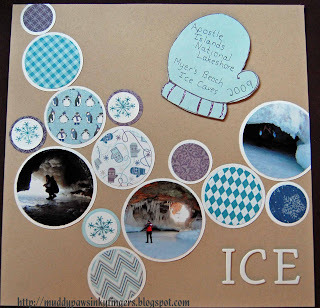 Circles were cut with various sized Lifestyle Crafts circle dies. The photos are 3 inch circles. The title, "ICE", is made with Close To My Heart dimensional Classic alphabets, glued down with Glossy Accents. Supplies for this project were purchased at cropchocolate.com, an awesome site for finding great deals and making even greater friendships. 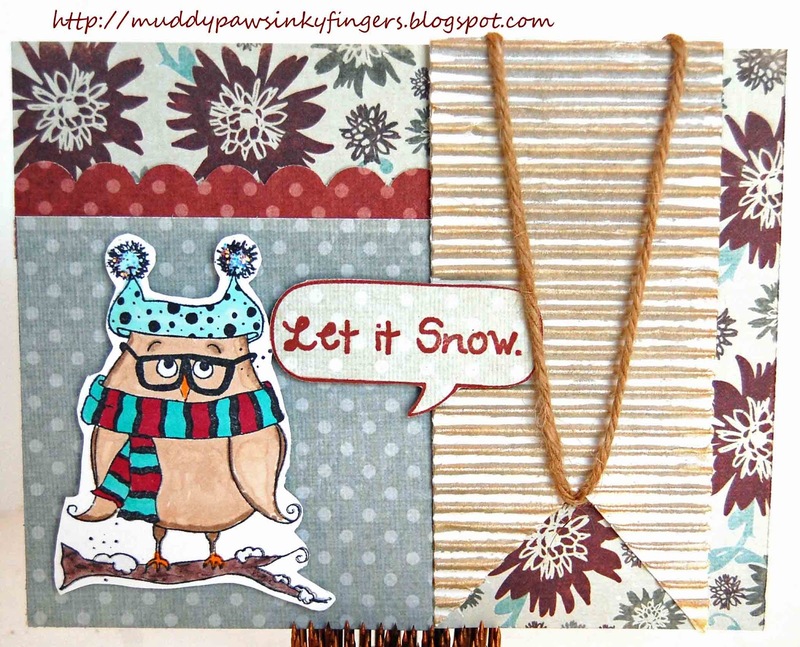 I used 2 Unity stamp sets on this layout: Snowflake Kisses and Mitten Background. 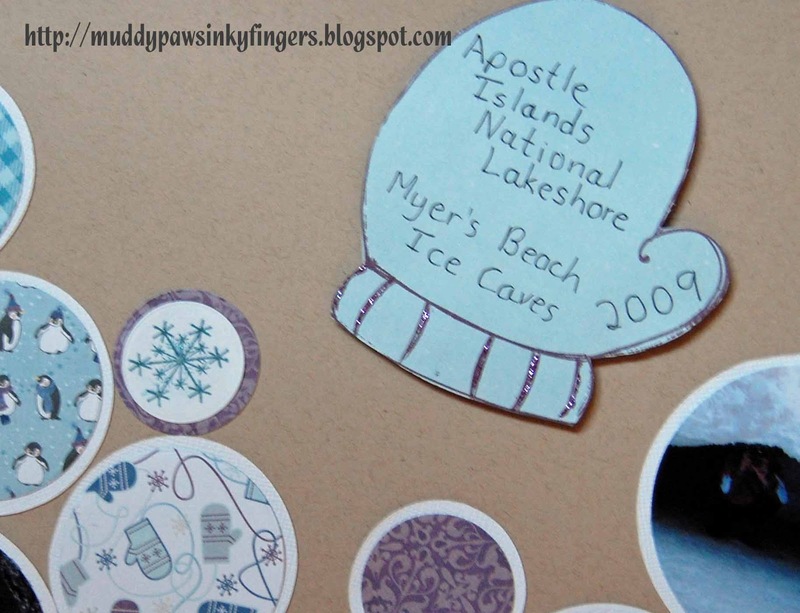 I added some lavendar and waterfall Stickles to the stamped snowflakes and mittens. There you have it -- a layout about one of my favorite places ever. Tell me about your favorite places to visit! Welcome, welcome! Thanks so much for visiting my blog! I am having so much fun being the Growing in Unity girl this week. This is a hoot, playing with my Unity stamps "cause I have to" Ha Ha!! Last week, I needed a couple of 'get well' cards. A good friend of mine put out a plea for people to send cards to her great niece who was badly burned in a house fire, so I needed a card to send to her. The other was for a co-worker who had a knee replaced. I wanted both cards to be elegant and beautiful, so they would look at them and instantly feel better (can a card do that? I hope so). Those of you who follow my blog know I often make my cards 2 at a time, with only slight variations. That's what I did here. I love to use Echo Park cardstock for my card bases as each side is a different color. These cards are both made by the same piece of EP cardstock (Little Boy). I used a Silhouette card file to get me started on the "elegant" look I was trying to achieve. The stamps are from the Dec 2012 Unity Kit of the Month, colored with Copic markers. There's a piece of Bazzill Basics Vintage Marketplace 12x12 paper (Market Dots) and some Crate Paper Pretty Party 12x12 (Party Guest). The butterflies are from Making Memories, the wood buttons are Close To My Heart, and the crinkle ribbons are from 3 Girl JAM. That's it for today! Please come back tomorrow. I have a layout to share with you tomorrow. An icy one. After all, it's winter in Wisconsin! Thanks for stopping by today! Make sure to leave a comment today, and each day this week. 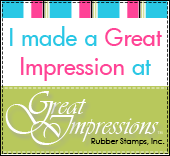 One lucky person will win 2 Unity Itty Bitty stamps from Unity just for commenting. How great is that? I don't know why it looks so washed out! It was prettier on the site I pinned it from (paperwishes.com). Anyway, I purchased the Spellbinders Marvelous Squares and found this card using them, so I pinned it. There's lots of diecutting on here, but not much stamping, but I still thought it would be a fun card to share. 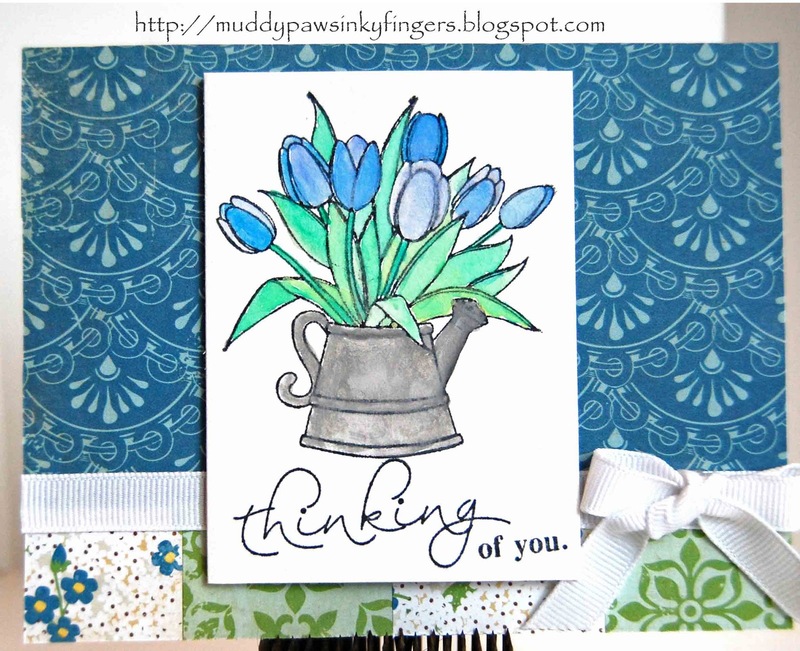 The sentiment was part of a Unity grab bag (love them, they're so fun!). Papers are Echo Park For the Record Tailored 6x6 pad. Thanks for visiting my blog today and please come back tomorrow! I'm very excited to be the Growing In Unity girl this week! I love Unity stamps, so any excuse to play with them is great! I've got some projects I'm proud of to show you this week, so please visit my blog each day. At the end of the week, one person will be randomly chosen to win two Itty Bitty stamps from Unity. I have 3 Golden Retrievers in my house. They are part of what makes it home, so I'm very partial to the Phyllis Harris stamps. I use this one often, and showed a variation of this card at last Fridays FWF, so it may look familiar. It also uses a Susan K Weckesser stamp, A Little Grunge Love. Supplies used: Paper Crate Fourteen 6x6 paper, Unity stamp set, "Constant Companions" (Phyllis Harris), Unity stamp set "A Little Grunge Love" (Susan K. Weckesser), Copic markers, glitter pen, 3 Girl Jam holly berry ribbon, Spellbinders die, corner rounder. Thanks for stopping by my blog today. Come back tomorrow and everyday this week for more Unity goodness. I'm going to keep this short because I don't have much time. I'm spending today with some very good friends, both 2-legged and 4-legged. We've got some crafty time planned, lunch together, and a dog walk across the ice to the ice shack to see how the fish are biting. Should be a great day!! I sent this card out last week to one of the friends I'll see today. She loves Goldens and she loves to bicycle. I figured this card about covered it all. I used a Phyllis Harris/Unity stamp called, "All I Need". I used Crate Paper's Fourteen 6x6 paper, a Spellbinders die, Copic markers, and 3 Girl JAM ribbon. The first Friday in January, I almost didn't have a FWF entry because I couldn't upload pictures to my blog. This is one of the cards I was planning to show that day. I've been uploading to Picasso, then to my blog ever since that day, so at least I figured out a way around it. 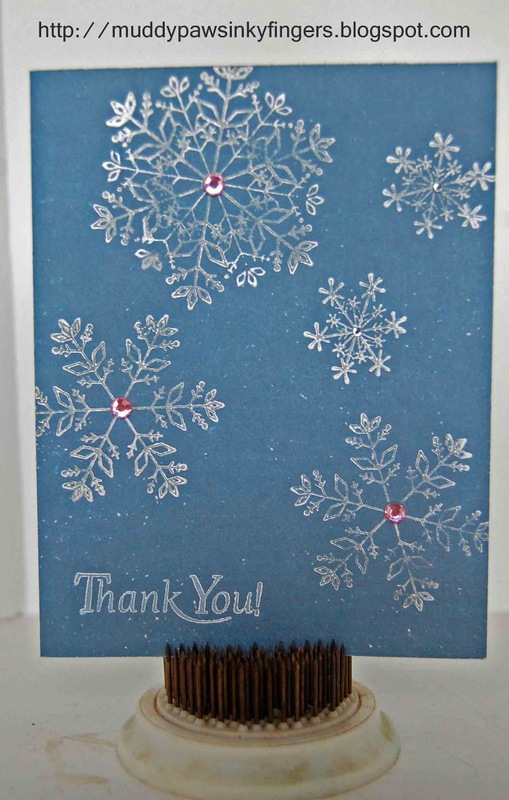 I made about 20 of these cards Dec. 26 to use to write thank you notes for all the great gifts I got this year. I used Echo Park Wintertime cardstock, Unity Snowflake Kisses stamp set, bling from my stash, and the sentiment is from a Unity grab bag. This tag was for a tag swap I participated in with the cropchocolate.com design team. I made it so long ago I may have trouble recalling what I used. OK, here goes: Echo Park Wintertime 6x6 paper and 12x12 embellishments (tree), Unity 'Just Chillin' stamp of the week set. The winter banner is a Unity SMAK kit (11/12). I used various ribbons from my stash and some snowflake brads I've had since I started scrapbooking. I thinking they are Hot Off the Press. I colored the snowmen withe Copic markers. You can't see it in this picture, but the snow people are nestled in some layers of snow, covered in icicle Stickles. I'm getting together with some of my best friends tomorrow. We're going to scrap a little, laugh a little, spend some quality time with the dogs, and eat a little (?). I made these gift bags in honor of our time together. I used SVGcuts.com and my Silhouette Cameo to cut out the boxes. Papers used were from a Fancy Pants grab bag purchased on cropchocolate.com (the 2 on the right). The paper on the left is MME Nostalgia. The ribbon tying the left box together is some silk ribbon I won from May Arts. Other ribbon is from 3 Girl JAM. Here's a closeup of the top of one of the boxes. I used a Guber and 3 Girl JAM ribbon, finishing it off with an Echo Park brad. I filled the boxes with chocolate (of course! ), a cute snowman nail file and some antibacterial hand lotion. I hope it will add to the festive atmosphere of our time together. My first time as a guest designer! I am so excited you stopped by my blog today! It is my first time as a guest designer. I cannot think of a company I'd rather begin my guest DT career with than 3 Girl Jam. I am being featured on their challenge blog. Everyone of the DT members has been so kind leaving love on my blog, and the products they offer are outstanding. 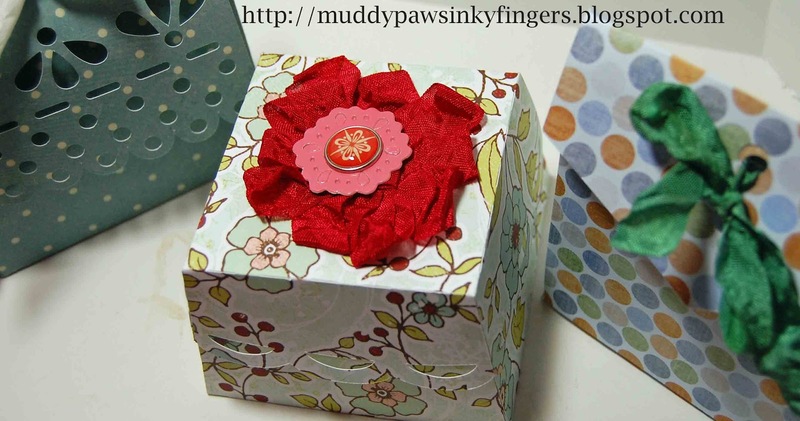 I've had so much fun designing with their crinkle ribbon. The colors are exquisite and it's so easy to work with. I'm a new fan of crinkle ribbon, for sure! The theme of the current 3 Girl Jam challenge is "party." When I think of party, I think of banners and stars. That was the inspiration behind this piece. This star was purchased from Close To My Heart some time ago, and was waiting for the right moment to be altered. When I wanted to design something special for my first ever guest DT post, I knew right away I wanted it to be this star. The star started out white. I used Tim Holtz distress stain in tarnished brass on the whole star first. 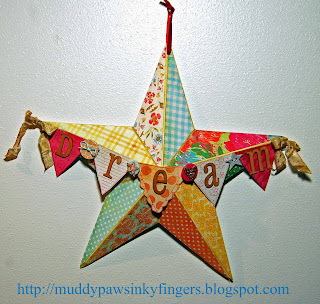 Then, I made a template of a triangle shape that fit inside each angle of the star. This was the toughest part for me. I should have listened better in geometry class! Those angles were hard for me! Then, I used my template to cut each paper for the star. 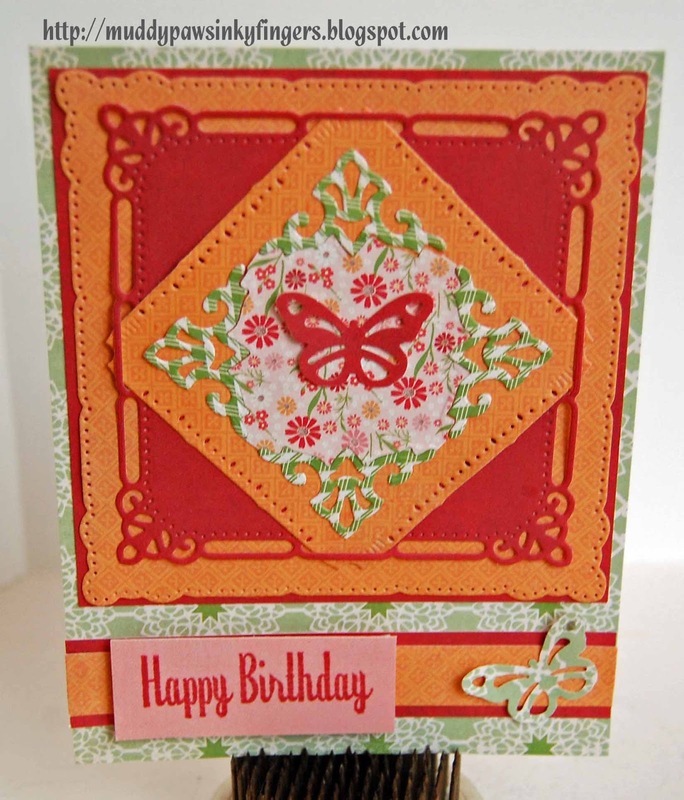 I used Fancy Pants Hopscotch collection 12x12 papers and embellishments. The banner was made using Unity stamps Celebration of Simple. I recently won a whole bunch of Susan K. Weckesser/Unity stamps. This is one of them. I love the texture in the banners. My next challenge was figuring out how to attach the banner to the star. I ran Terrifically Tacky tape along the top edge of two sides and layed down 3 Girl Jam Seasons bundle ribbon on top of it, leaving a couple inches of ribbon on each end. Then, I used the same tape to adhere the banner to the ribbon. I added the embellishments last. The wood alphabets were coated with the same TH tarnished brass distress stain. I have had the alphas for quite some time and no longer have the original packaging, but I think they are from Pink Paislee. I little twine, waxy flax, velvet ribbon from my stash, and two bows of 3 Girl Jam seasons crinkle ribbon finished the star. I hope you enjoyed my dream star. Tell my what your dreams are for 2013. 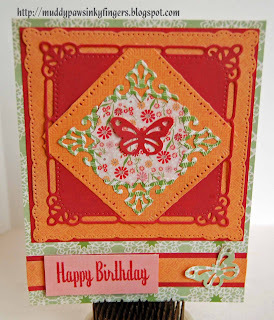 And, let's see your party creations linked up on the 3 Girl Jam Challenge blog. Party on! Thanks, 3 Girl Jam, it's been a big honor for me. Winners, winners, I love winners! I have TWO winners to announce today. I made it to my goal of 150 followers, and I gained more networked followers, too. I'm amazed at this! Thanks to all my loyal blog readers! 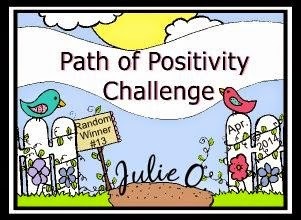 I used random.org, and chose two from the posts from the blog hop. But, before I announce the winners, I want to invite you back here tomorrow. Wednesday is a very big day for me -- my first day as a guest designer! 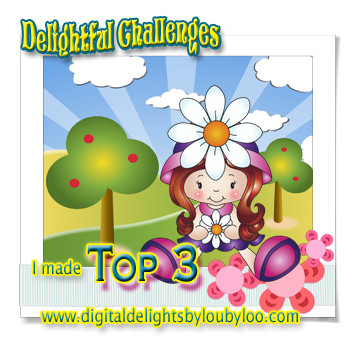 I'll be on the 3 Girl Jam Challenge blog. So, check me out both places, if you will. I'll be guest designing for 3 Girl Jam again later in the month, too. Brit K! Brit's been under the weather this weekend, so I think she's going to like this little boost. Congrats, Brit! Congratulations, ladies! Please let me know your mailing addresses and your favorite scrapping supplies. I'll tailor your winnings for you and get your packages out to you. I've been excited about this day for a loooong time! 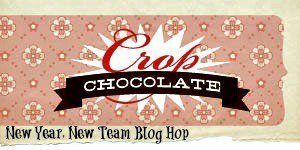 I love blog hops, and I'm super excited about my second term on the cropchocolate.com design team. Not only is it a great company with a wonderfully talented bunch of women, but there are some exciting changes in store for all of you this term. You'll see more design team members and we're divided into specific groups. I've been assigned to the layouts/cards design team. Well, as many of you know, cards are a joy for me, but layouts can be more of a challenge. To get into the spirit of things, I created one of each for this blog hop. But, first, a few other details. As I said already, I'm super excited about this hop and the opportunity to serve on this design team. So, I'm offering blog candy. To be eligible to win it, please follow my blog and leave a comment on this post. I will pick the winner early next week. If I hit 150 followers, I will pick two winners. (Yeah!) 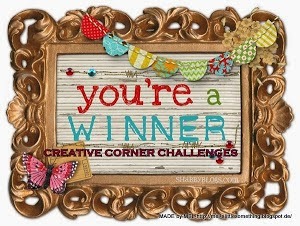 There's paper, Unity stamps, ribbon, embellishments, all kinds of crafty wonderfulness for you to win. You should have come here from Karen's blog. And, if you just happened upon this and want to start at the beginning, visit Amber's blog first. Isn't there an amazing amount of talent on this team? Most of the designers are showing you their tryout pieces, but those were also my November and December projects for last term, so you've already seen them. So, I created a couple new things for the hop. First, the layout, which will tell you some new things about me. This is me! (woohoo) and my old girl Molly. She just turned 12 on Jan. 6th. Her face is just starting to turn gray, and she has a little arthritis, but she's an athlete. She LOVES to run! And chase her tail. She's chasing it for all she's worth as I'm writing this post. She must be excited, too! 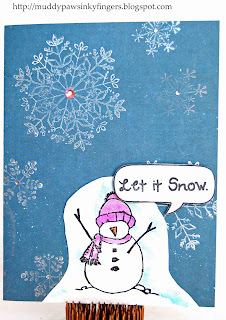 I used Fancy Pants Blissful Blizzard 12x12 papers and Echo Park Wintertime card stock on this layout, purchased from cropchocolate.com. I cut the library pocket out on the Silhouette, editing the file size to fit my purposes. And, for my Unity Friends With Flair Peeps, I used the Unity Dec kit of the month stamps for the quote,Unity Swirling Snow stamps and various CTMH alphabet stamps (all retired) for the numbers on the tags. 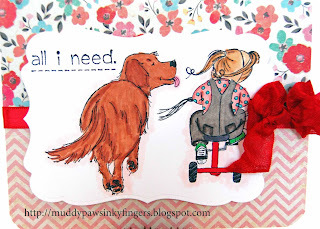 The ribbon, Juniper ink and Barn Red ink are also from Close To My Heart. 6. I cook as little as possible. I LOVE leftovers! 9. I love my Harley! There you have it. Somehow scrapbooking ourselves is very hard to do. Thinking of these facts took much longer than anything else! Let me know if you learned anything new about me. And you are! You are SO cool! I love this world of blogging and crafting and sharing ourselves with each other. Here's how I made it. I used Unity stamps of course. 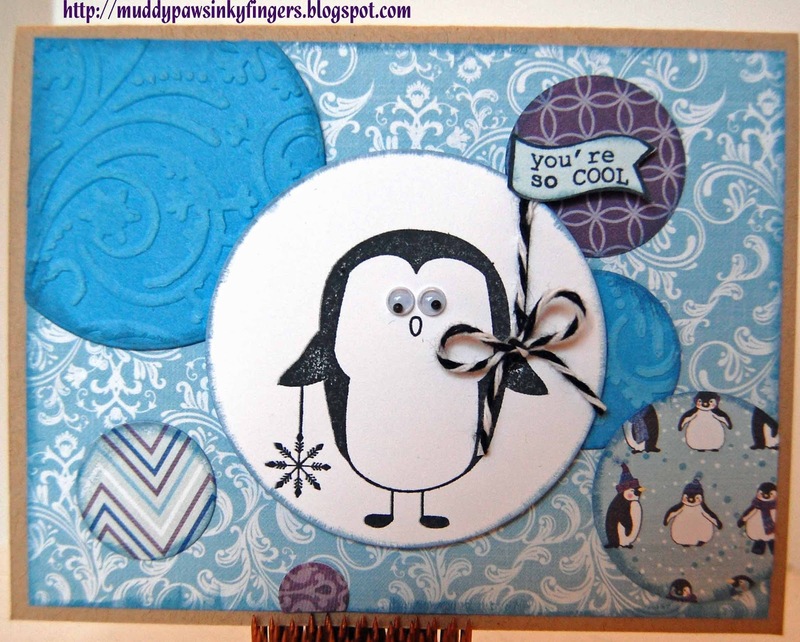 It's an Itty Bitty penguin called, "You're so cool". 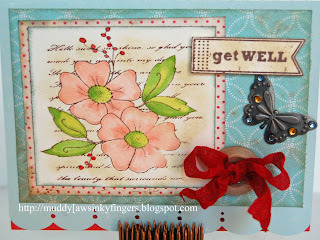 I cut the circles out with the Lifestyle Crafts circle dies in various sizes. 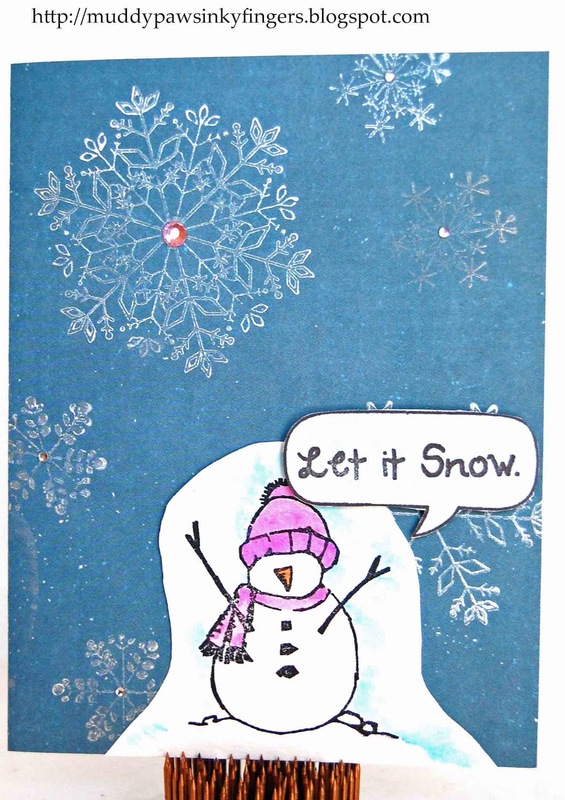 I used Echo Park Winter Wishes 6x6 paper. Two of the circles were dry embossed with a Spellbinders embossing plate. 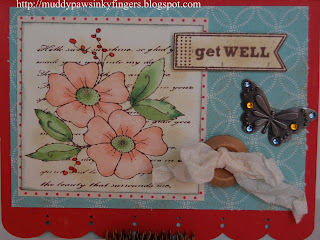 I inked the edges of the card and the circles with Tim Holtz distress ink (black soot). The base of the card is made with Carta Bella Kraft cardstock. The charcoal baker's twine is from cropchocolate.com. The googly eyes are from my stash. 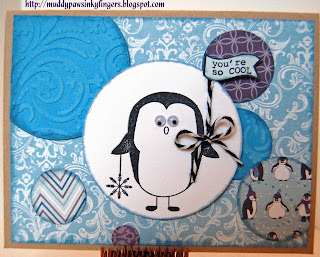 The circle the penguin is stamped on is elevated with 3D foam tape, and so is the sentiment banner. Everything for the googly eyes and Unity stamp was purchased from my favorite online shopping site, cropchocolate.com. That's it for me. Please come back on Tuesday, Jan. 15 and I'll pick the winner of the blog candy. Then, please visit my blog again on Wednesday, Jan. 16. 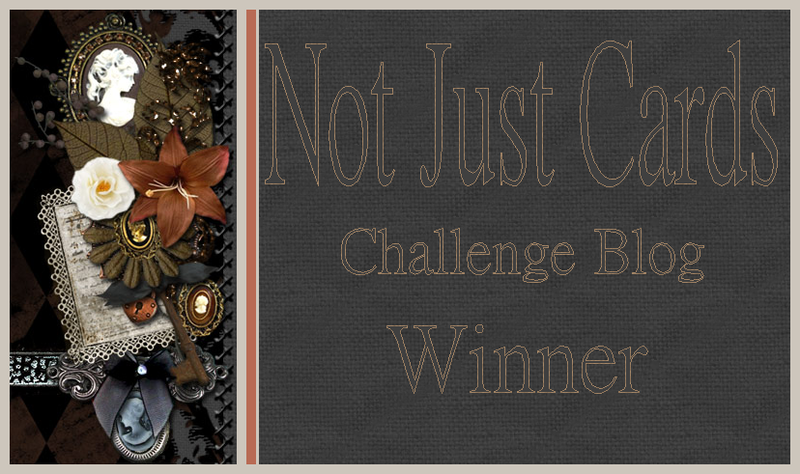 I will be guest designing for the 3 Girl Jam Challenge blog. I know there are some crinkle ribbon fans out there, and 3 Girl Jam has some beautiful ribbon! Now, hop, hop, hop on to the talented Becky's blog. You'll love what she has to show you! I have a couple days off of work to recover from the very busy holiday hours I managed to survive. I was able to get crafty today and it felt wonderful! Much of what I created won't show up on this blog for awhile yet as it is future design team and guest designer projects. However, just before supper, I made a couple cards. I had my brother's upcoming birthday in mind. When I make a card, I almost always create 2 at the same time. I'll often send one and keep the other for my stash. Then, I give them away in homemade card boxes or ship them off to Operation Write Home several times a year. 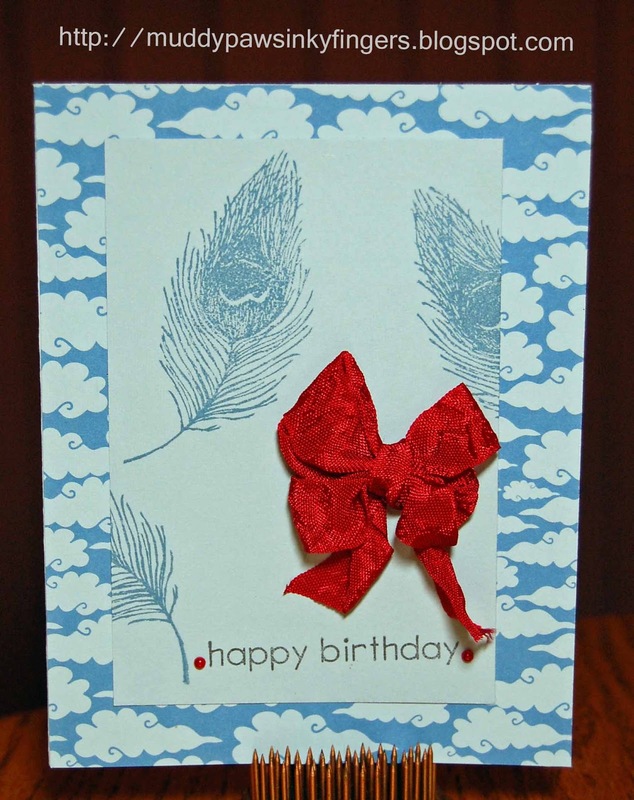 That's what I did with this card -- it's two cards, but basically one design with just slight variations. Designer paper is by Piggy Tales. Stamps are Market Street Stamps (beautiful feather from the "Wild" set) and Unity Stamp Company ("Happy birthday" sentiment from Balloons to You Itty Bitty). Pearls are Kaisercraft Basics. I just got the ribbon today from 3 Girl Jam. I love, love, love the rich color of it! 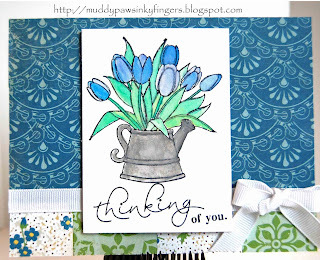 I stamped the feather with Indian Corn Blue Close To My Heart ink and the sentiment with black CTMH ink. 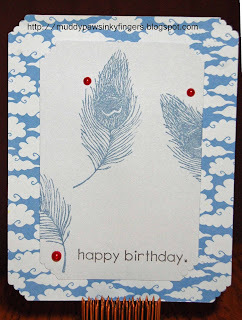 On the first card, I used a cloud corner rounder. It seemed appropriate with the cloud background paper! 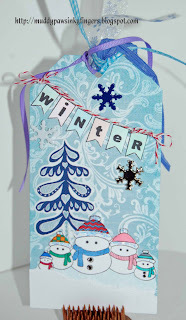 I'm entering these cards in the following challenges: Simon Says Stamps Something New challenge, 3 girl JAM anything goes challenge, and Really Reasonable Ribbon's #63 My New Toys -- and ribbon challenge. I had two other projects planned for Friends With Flair today, but I cannot upload a picture from my computer. Blogger is not giving me that option. 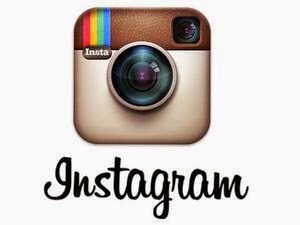 Did anyone else have trouble? After getting very frustrated, I decided to edit this post from earlier in the week and use it instead. Maybe I'll have better luck next week!